Trump’s speech on Afghanistan this evening reminded me of this book cover from the early 1970s. This was probably some of the first political humor which I relished. 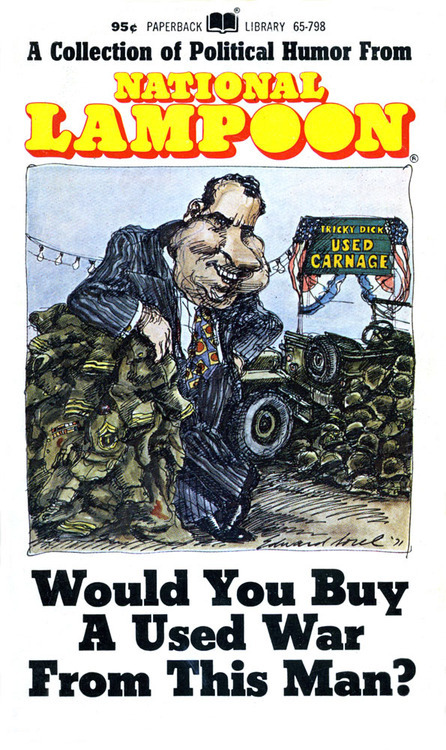 National Lampoon was much more reliable on Nixon’s foreign policy than was the Washington Post. So Trump will speak in a few minutes on his solution for Afghanistan. I am on the edge of my chair, waiting to see if he forever banishes my cynicism about politicians. It’s always a bad sign when a speech is given to a military audience – nobody can hoot or jeer without ruining their career. *Bummed that Trump is not wearing his solar eclipse glasses. * Third time for 9/11. What is the betting odds for the final # of mentions? * “a successful outcome” – which means WTH in Afghanistan? * Personally, I have never been inspired by laundry lists. * Lifting restrictions on U.S. military attacks – what could go wrong? 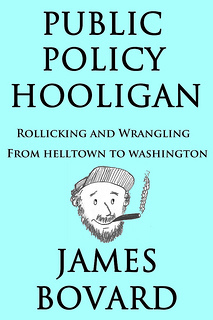 * promising “economic development” in Afghanistan – is he plagiarizing GWBush? * “restore the bonds of loyalty among our citizens at home” – …bad news for any NFL player who does not stand for the national anthem?